The Super Bowl is this Sunday night! No matter who you’re routing for or if the game is even important to you at all, one thing is for sure – SNACKS are a must. 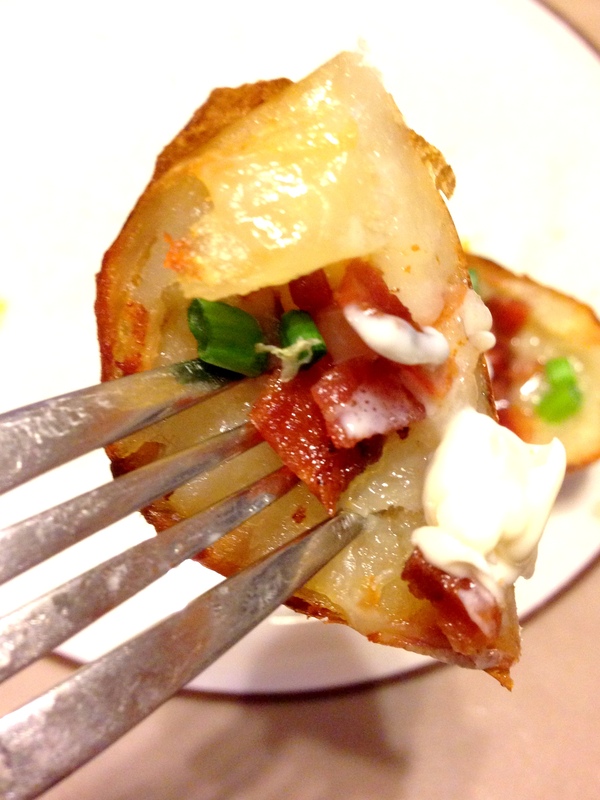 This year I thought I’d share a classic football snack – Potato Skins. And once you have the skins under control, you can really fill these guys with anything! 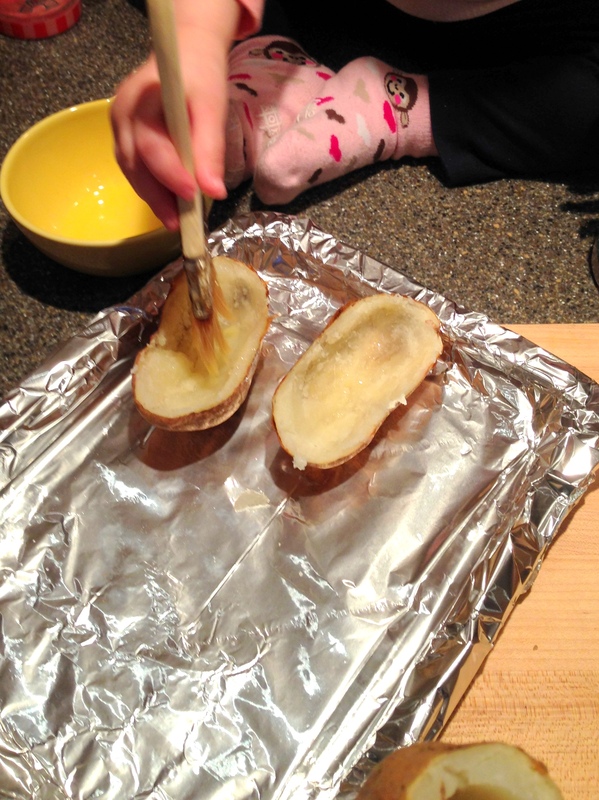 First: bake your potatoes at 350 for about 45 mins to an hour. Cook until soft. 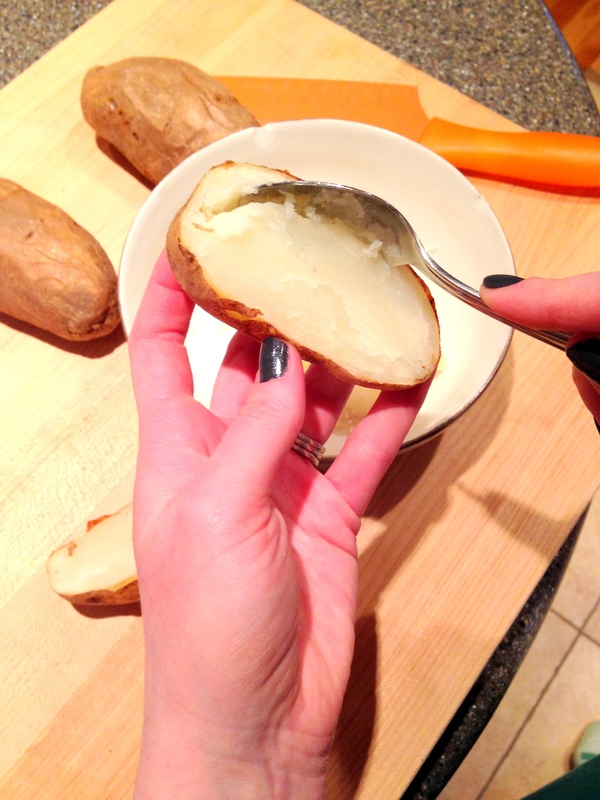 Let them cool, cut in half, and scoop out a fair amount of the potato from each half. That is so vague, but it’s really up to you how much potato you leave in. I like a moderate amount of potato left in my skin. Next: place your skins, cut side up, on a baking sheet and coat with butter (the perfect job for your sous chef). Bake at 400 degrees for 5 to 7 minutes (depending on how crispy you want them to get!). Then flip, coat the outsides with butter and bake again at 400 degrees for 5 to 7 minutes. While all that baking, buttering, and flipping is going on you can prep your toppings. 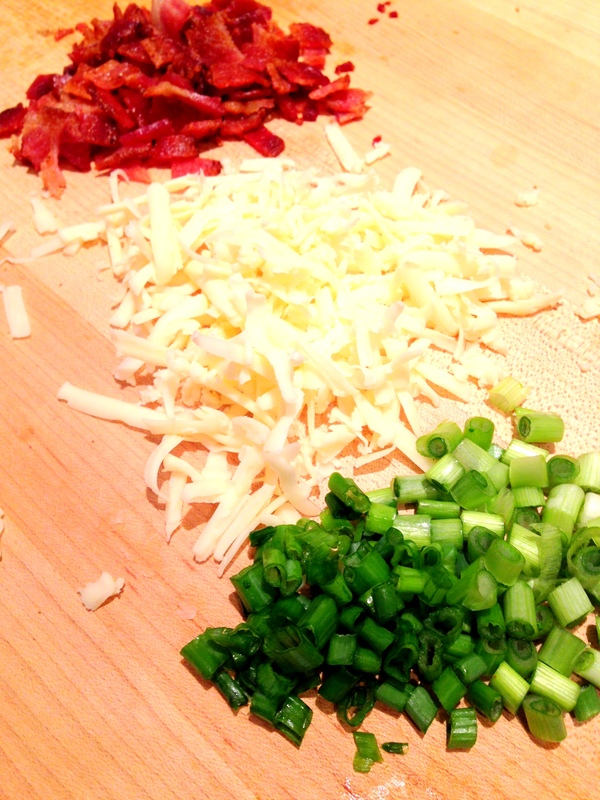 As I mentioned above, we went classic with these and opted for chives, cheddar cheese, and crumbled bacon. 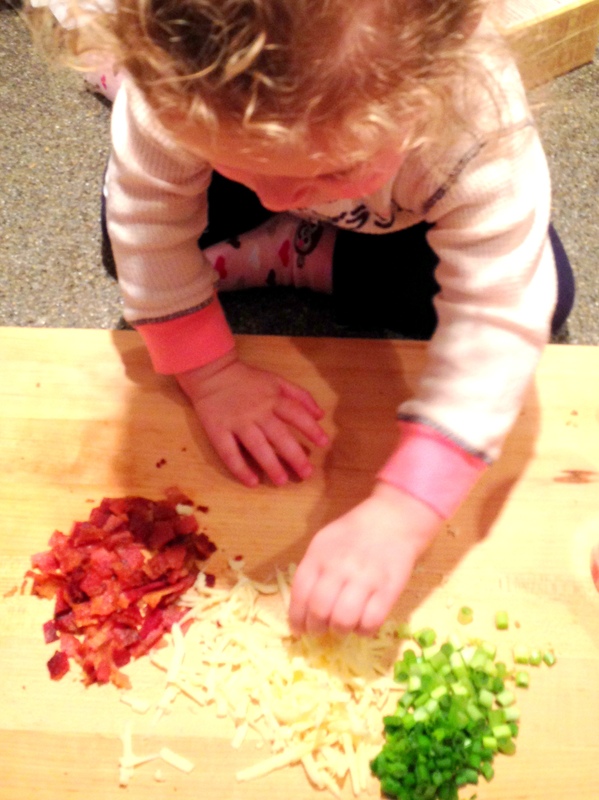 Once your skins are at the desired level of “crispy-ness,” take them out of the oven and load them with toppings! Bake one last time for 3 to 5 minutes or until your cheese is melted. 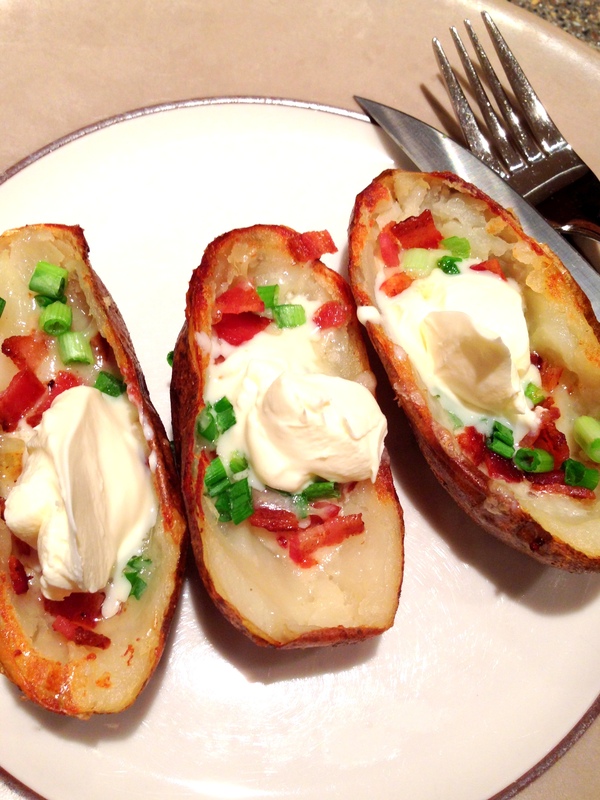 Top with sour cream (or we actually used creme fraiche because I had it on hand) and ENJOY! 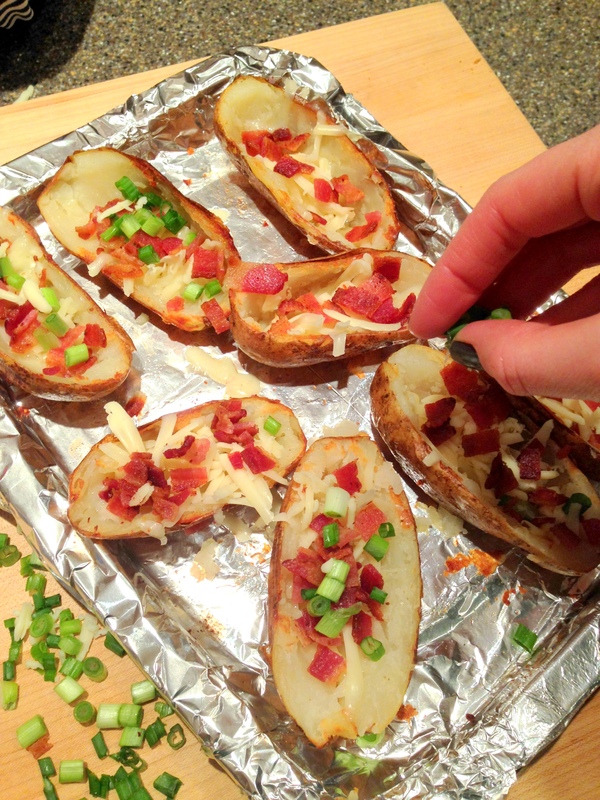 Potato skins are always a good idea!